It's true - Andrea at ResortQuest Whistler is at it again, and wants you to make this YOUR year to visit! 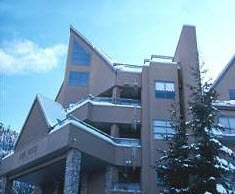 ResortQuest Whistler has a HUGE inventory of condominiums and townhomes, so we can certainly find the right accommodation for your budget. Normal minimum night stay requirements will apply, but other than that it's your choice. Whether it's a Holiday Week in December, Spring Break midweek getaway in March, or an end of the season road trip in April, they are all 42-52% off... but only when you book by 8/31!